Summary: So many beautiful dogs look completely perfect…. Except for a commonly seen problem around the most viewed part of their face – the tear stains underneath a dog’s eye! Product innovations have been developed to help clear up dog tear stains. 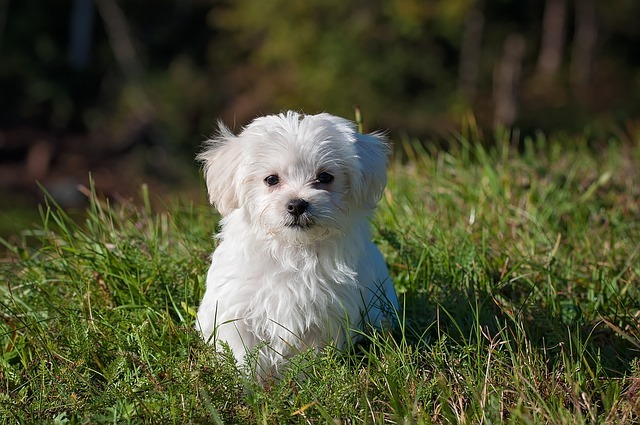 The stains around the dog’s eyes are generally not harmful. We discuss how you can clear this up. Most people love white fluffy dogs but HATE the reddish-brown or black under the eyes of their dog. This discoloration is from dog tear stains. Fortunately, there are several products that take care of the staining problem and are often used by professional dog groomers. When choosing a tear stain remover, choose one that does not have alcohol or bleach in it as these are eye irritant and can cause more tearing in your dog. Since all dogs are different you may have to shop around to find the right product for your dog. It may be refreshing for you to know that you’re not the only dog owner who has the eye staining problem. The good news is that there is help. If you ever notice a discharge that is different than a regular, clear tear; especially, if it has a terrible odor, then your dog needs a visit to the veterinarian. Keep your dog’s eyes bright by finding the dog tear stain remover that is just perfect for your pet! My favorite dog tear stain remover is offered by Amazon which is Petpost Tear Stain Remover . I like this option best for my own Shih Tzu. It’s very easy to apply and does the job. It’s derived from all natural products. My favorite part is that it’s chemical free. Not even a bleach additive! Remember, though you need to use this product as directed and regularly to keep the dog tear stains under control. Another great option for removing dog tear stains – Angels’ Eyes Gentle Tear Stain Wipes . The primary ingredient is Juniper Berry Oil. It’s safe to use on dogs 12 weeks of age or older. I really like how their product is appropriately measured on wet wipes ready to apply to your dog. As always with any of these tear stain removers, be careful around the eyes of your dog. If you have further comments or questions about ‘How Do I Get Rid Of Tear Stains in dogs?’, feel free to visit our Forums or make a comment on this article below. We encourage participation and feedback.